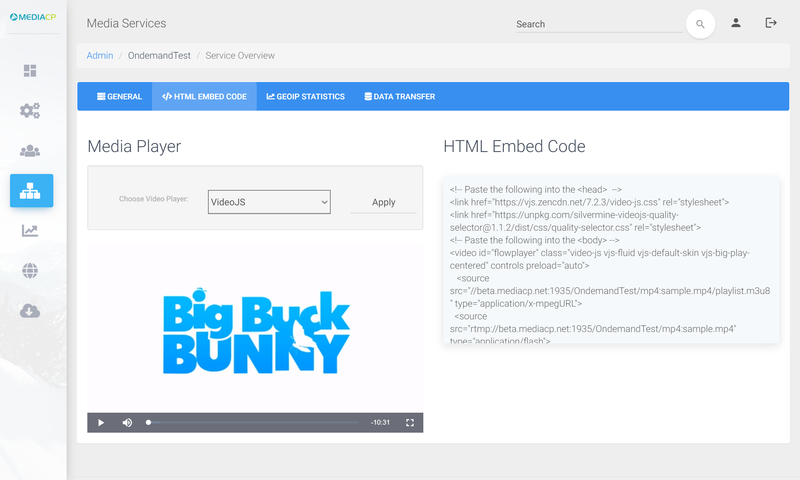 Video Streaming with the power of Wowza Streaming Engine. Wowza Streaming Engine™ is powers reliable streaming of high-quality video and audio to any device, anywhere. 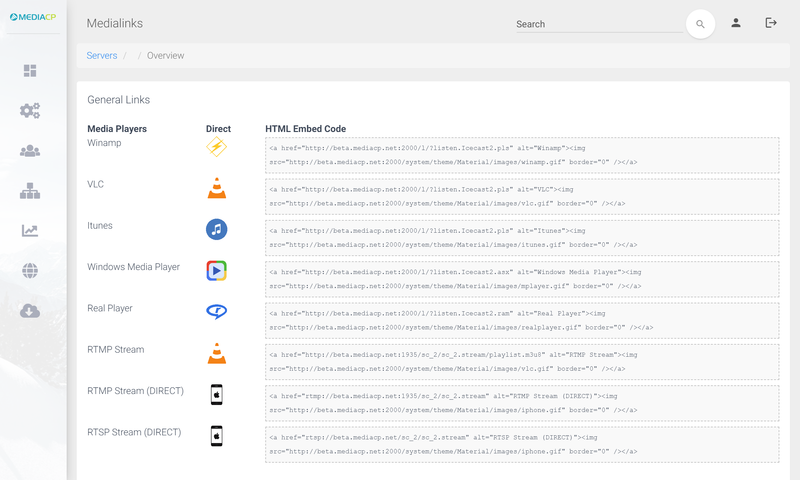 Whether deployed in the cloud or on-premises, leverage the powerful components of Wowza Streaming Engine and tailor your streaming workflows with security and confidence. 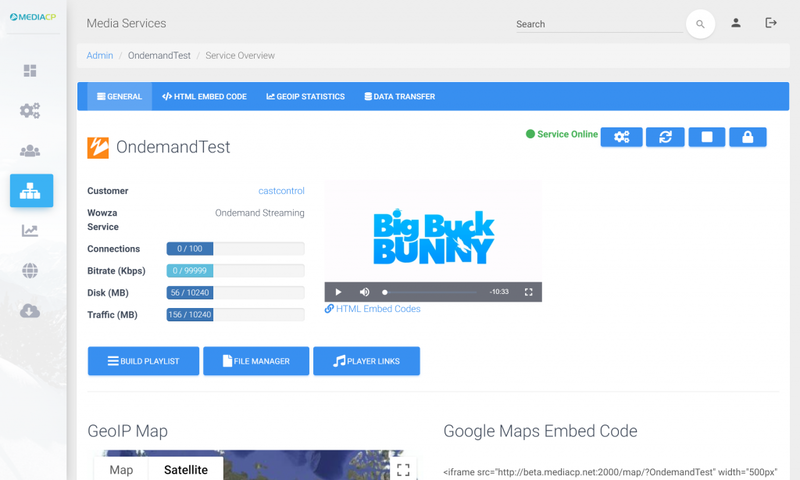 The MediaCP’s TV Station service type offers the ability to create and schedule server-side playlists to automate your video service just like a real TV Station. 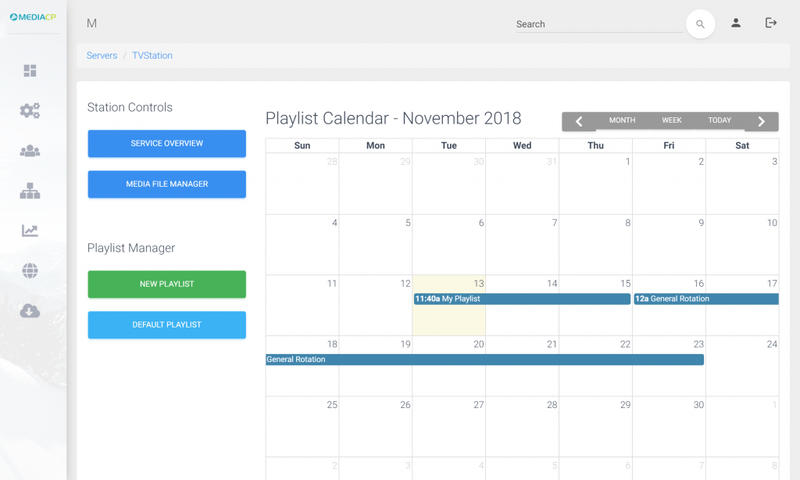 The Playlist Manager is a drag and drop interface that allows you to sort and tag media then quickly build your playlists. 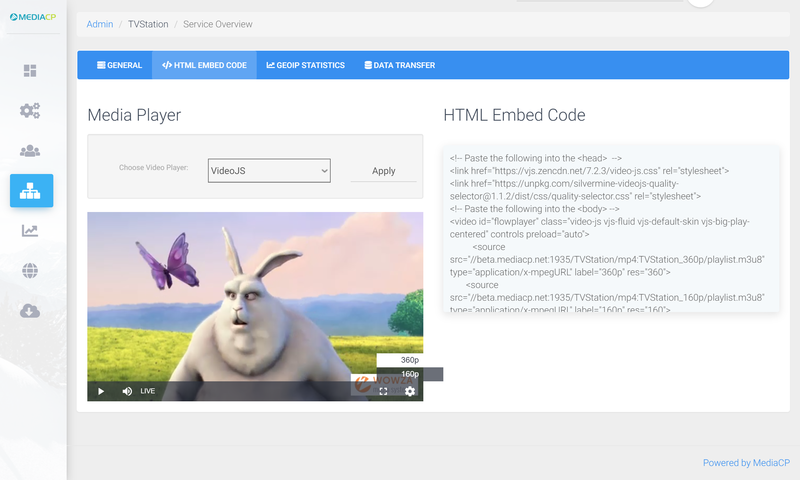 Enrich viewers experience with Video Transcoding through Wowza Streaming Engine. 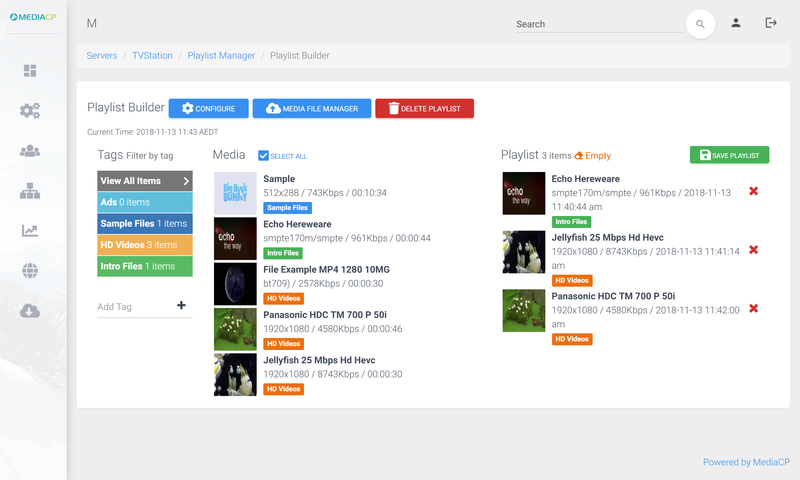 The HTML5 compatible media players offer full support for Quality Selection and Adaptive Bitrate Streaming. 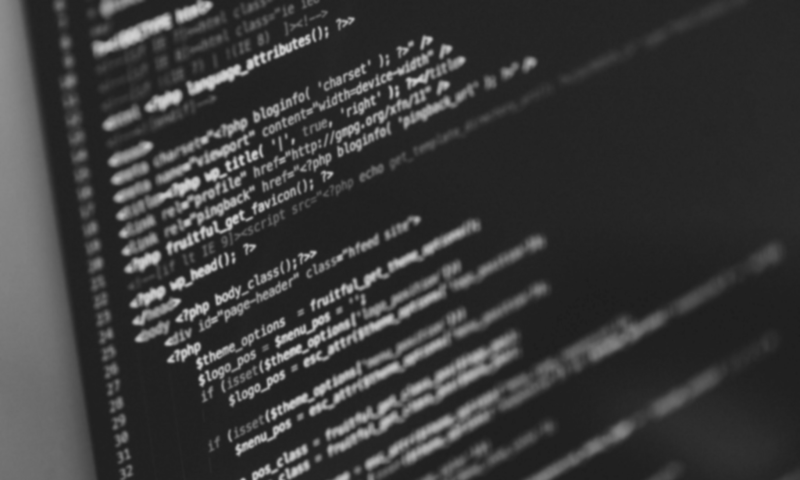 Adaptive Bitrate Streaming (ABR) is a technique used to detect a users bandwidth and CPU capacity in real time and automatically adjust the quality of the media stream accordingly. 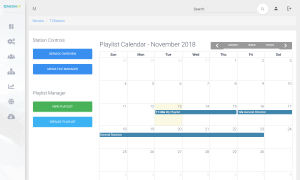 Dynamic playlists allow your customers to configure their video playlists from the MediaCP and automatically update on their website in realtime- with no changes to code. 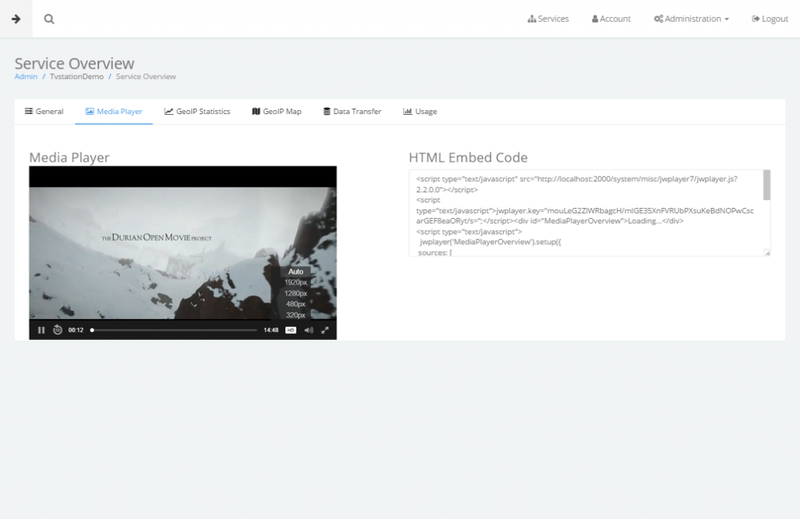 This powerful feature means your customers only ever need to apply embed code to their websites only once. It is possible to publish your Live Streaming services to Facebook using our Stream Targets function. You can publish to either a Facebook Page or your own Timeline. 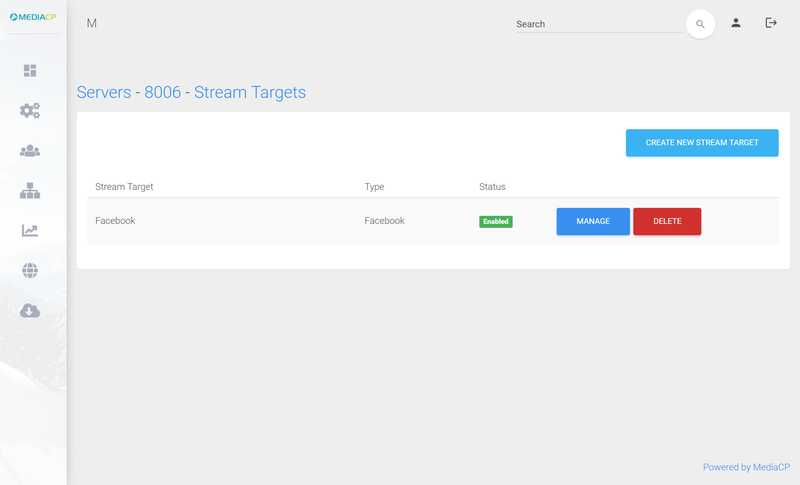 Our Stream Targets are smart enough to automatically reconnect to Facebook upon disconnection of your encoder. Low Latency streaming reduces the time before your viewer sees your video stream. 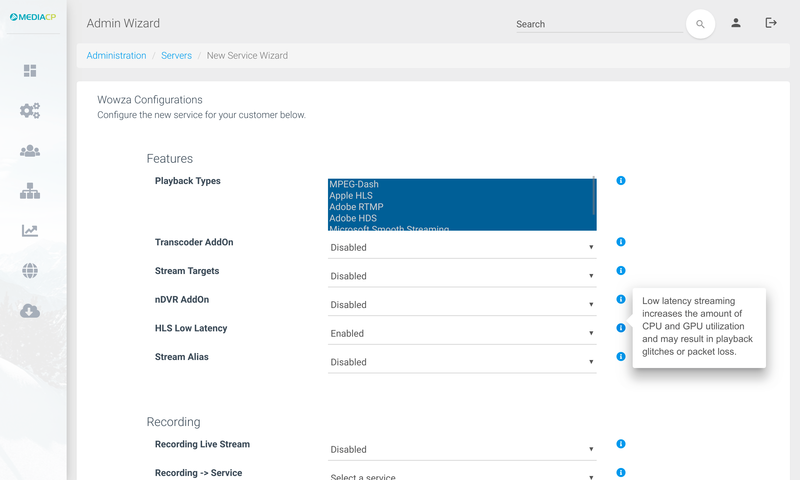 We provide support for Low Latency HLS Streaming both as a new Service Type (Live Streaming Low Latency) as well as a new option under the Feature tab for Wowza Streaming services. What other features are supported? 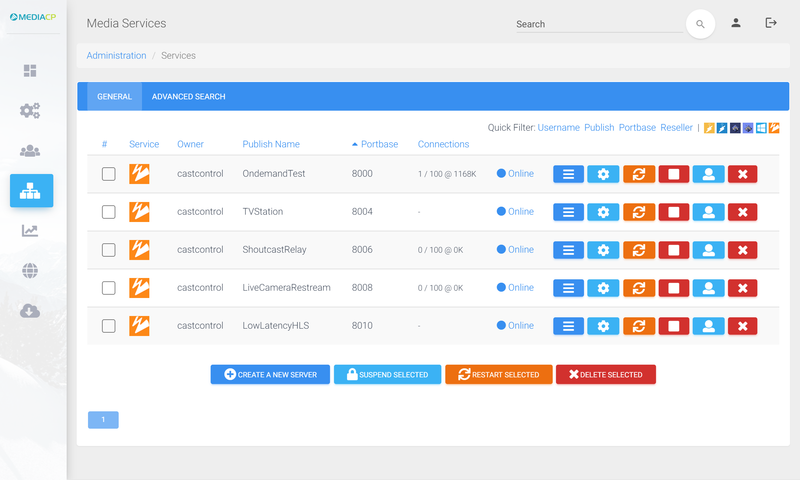 Shoutcast Relay, Live Streaming & Ondemand Streaming Applications. 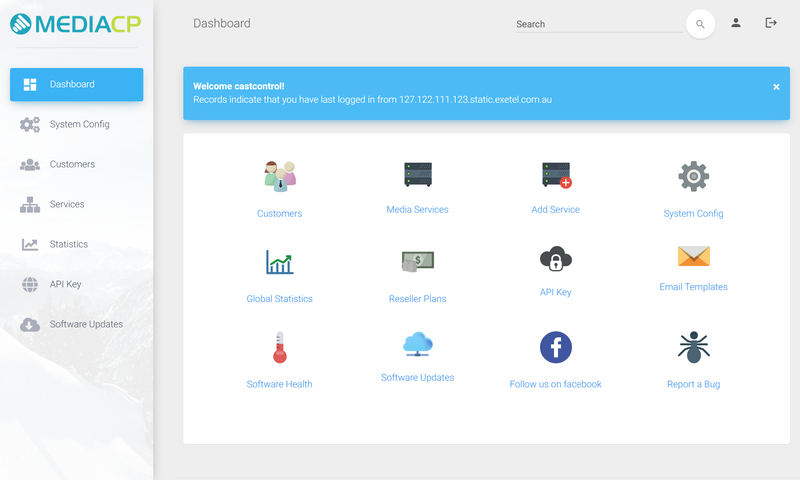 WHMCS Integration for complete billing automation. Max Users (Simultaneous Connections) & Bitrate Limiting. 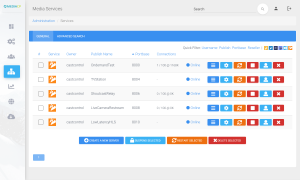 FTP Integration with Ondemand Streaming. A list of each connected ip, country of origin & protocol. Top 30 Countries (based on listener amounts). GeoIP Listener plotted Google Maps. 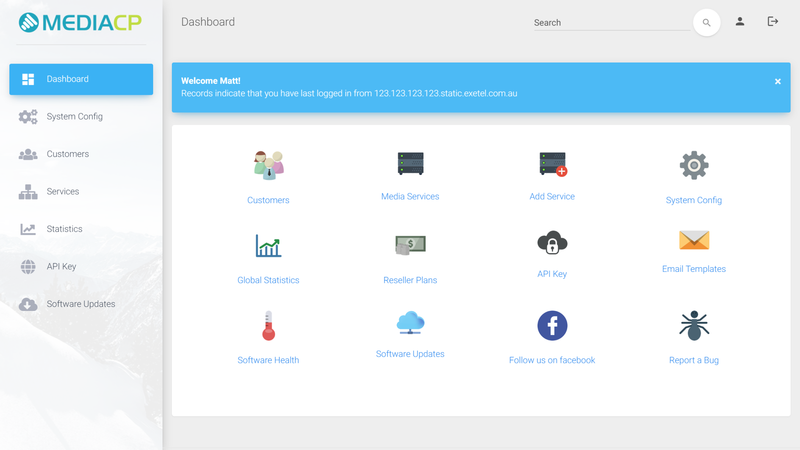 Does the Media Control Panel include a Wowza Media Server license? 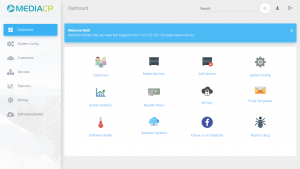 Do you offer an online demo? We offer a 30 day money back gaurantee if you are not happy with our product. 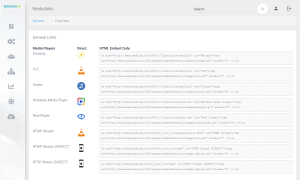 With a direct API integration into WSE, applications created in the MediaCP will appear in WSEM. Changes made through WSEM also won’t be lost. Experience the best in streaming technology with full support for nDVR and Transcoding functionality. 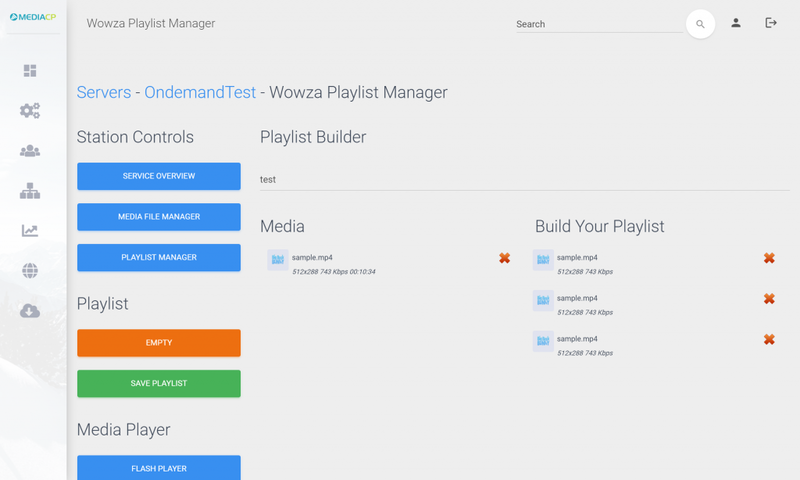 Broadcast automatically to Facebook using our custom built Stream Target support for Wowza Streaming Engine Manager. 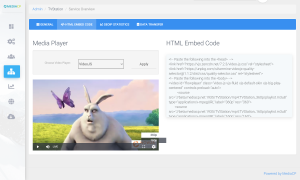 VideoJS offers a popular and free HTML5 player. 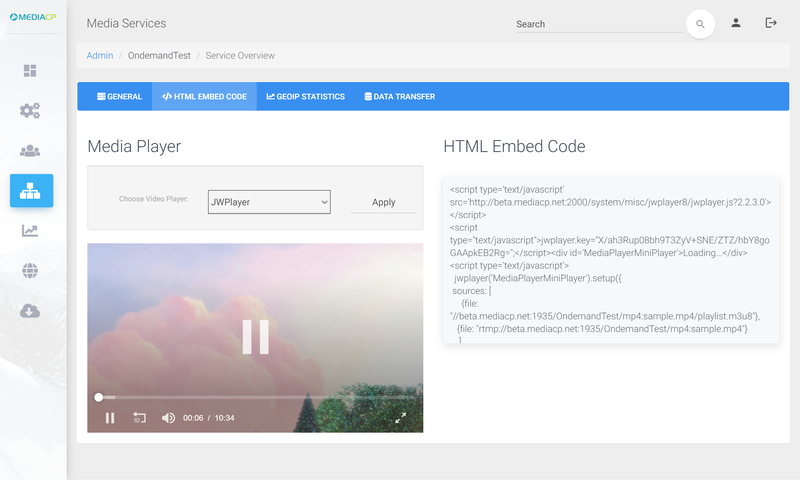 JWPlayer is compatible with all media types including nDVR and Transcoder. *JWPlayer license key is required. FlowPlayer is compatible with all media types including nDVR and Transcoder. *Paid FlowPlayer license is required to remove watermarks.